It’s amazing at how much smoke blows out of cleaning companies marketing claims. If you believe the hype you’ll believe that you must choose a cleaning company because they are either “super eco,” “pay their maids by performance,” or offer 1000 years of experience even though they are still cleaning with the same tired old techniques. Cleaning is like any other process and we highly recommend you see beyond the cloud of smoke and focus on what features a cleaning company offers that directly affects you. 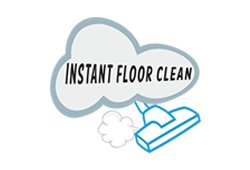 Pay For Performance cleaning – There’s a few cleaning companies that have taken this tired old concept and marketed it to the point where you almost believe they just invented the vacuum. The idea is that by paying maids based on performance – as in your feedback – backfires more than helps as not only do you get mediocre cleaning but you are harassed by maids hoping for a great review from you so they can get paid. The sober reality is that companies that employ this rarely pay their maids at the top of the pay for performance scale even when feedback is positive. ECO Super Heroes – Really? 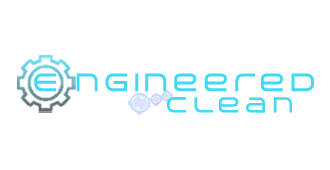 Any reasonable cleaning company will access the vast quality cleaning products available that generally will either be ECO friend or at least non-toxic. This is no longer a “feature” or something that helps you choose a cleaning company. 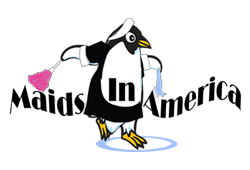 25,000 years of experience… – Using experience instead of years in business is a useless way of measuring the potential of a maid service. The excessive experience is calculated starting when the owner, and maids, first started walking on their feet (as toddlers) and wiping things with their play rag to the present. This is just another way of getting around the fact the business probably hasn’t been around long so ignore it. Licensed/bonded/insured – What? Is that all you can do is say you are licensed and bonded? With us you can go to our orientation page and see proof. Most companies are deficient in one or all of these areas and don’t have their credentials out on the line for everyone to see like a legit company would. Are they BBB members with a good rating? Most aren’t. How many years have they actually been in business? Do they have quality control system they can explain to you that works? Do they have check-sheets you can actually see before you commit? Can you see their license/bonding/insurance information NOW?